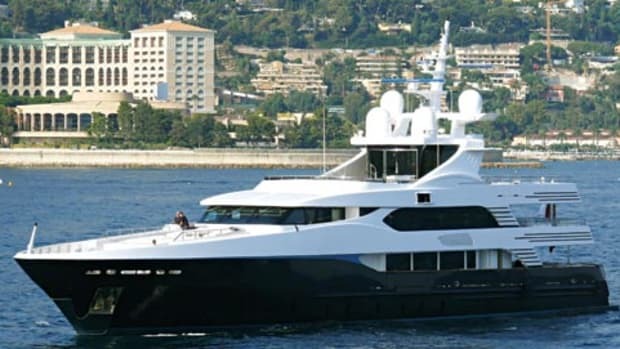 For sale for $47.5 million, Sweet Pea spent the summer cruising the Pacific Northwest. She’s said to be impeccably maintained and even has a new paint job and retractable mast, which were completed during a four-month refit that ended in March. The master bath is also all-new, featuring white onyx.